Israel Houghton is one of today's top gospel artists usually leading his group New Breed. He also occasionally records solo as he did with Moving Forward from his 2009 CD Power Of One. I would describe Houghton as very similar to Fred Hammond, maybe a little too similar. He was born May 19, 1971 in Oceanside, CA to single teen mother who resisted her family urging her to have an abortion. He started out in the late 80s and formed his group new Breed in 1995. Before that he was in Fred Hammond's group for a while. So I think much of Houghton's music is inspired by Hammond and to me he almost seems like an imitation of Hammond. But it hasn't stopped him from being successful in the gospel market. Moving Forward is from Houghton's 2009 CD Power Of One. This was supposed to be Houghton's solo debut and it was the first CD his label Integrity had with a new distribution deal with Columbia. He has performed songs from Power Of One acoustically. But more typically he performs with New Breed. This budget comp from Columbia has a good enough mix of Houghton's music so you can figure out if you like him. Houghton is currently the worship leader of Joel Osteen's Lakewood Church in Houston. He could cross over to mainstream music if he wanted to but I don't think he wants to. He has released several live CDs and DVDs including the 2015 CD Covered: Alive In Asia. He now records for RCA Inspiration which is an amalgamation of all the gospel labels that used to be under the Sony banner. He's won plenty of awards and he's popular with the faithful. He's not unique enough for me. 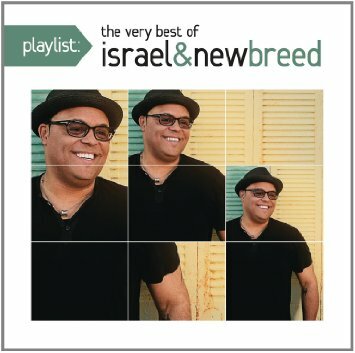 Here's Israel & New Breed with Donnie McClurkin performing Moving Forward.